Below you fill find all funeral homes and cemeteries in or near Wellsboro. Suburbs of Wellsboro: Ansonia, Asaph, Charleston, Delmar, Draper, Duncan, Kennedy, Knapp, Shippen, Stokesdale, Stonyfork. Wellsboro is also known as: Tioga County / Wellsboro borough. Zip codes in the city: 16901. Some of the notable people born here have been: Mark Polonia (actor and film director), and John Polonia (actor and film director). It was reported on January 11th, 2019 that Amy Frost (Wanner) passed away in Clover, South Carolina. Ms. Frost was 41 years old and was born in Wellsboro, PA. Send flowers to express your sorrow and honor Amy's life. It was noted on November 24th, 2018 that Elwin James Rice passed on in Bristol, Tennessee. Rice was 88 years old and was born in Wellsboro, PA. Send flowers to express your sympathy and honor Elwin James's life. It was reported on September 24th, 2018 that Lois H Caward (Hall) perished in Syracuse, New York. Ms. Caward was 95 years old and was born in Wellsboro, PA. Send flowers to express your sorrow and honor Lois H's life. It was noted by Grand Island Independent on March 10th, 2017 that Thomas E "Tom" Moran perished in Grand Island, Nebraska. Moran was 74 years old and was born in Wellsboro, PA. Send flowers to express your sympathy and honor Thomas E "Tom"'s life. It was revealed on July 6th, 2016 that Dennis Mark Simonis perished in Wellsboro, Pennsylvania. Simonis was 67 years old and was born in Stevens Point, WI. Send flowers to share your condolences and honor Dennis Mark's life. It was written by Williamsport Sun-Gazette on February 25th, 2016 that Ruth K Colgrove passed away in Wellsboro, Pennsylvania. Colgrove was 93 years old. Send flowers to express your sympathy and honor Ruth K's life. It was written by Williamsport Sun-Gazette on February 25th, 2016 that Lillian W Surina passed away in Wellsboro, Pennsylvania. Surina was 80 years old. Send flowers to express your sympathy and honor Lillian W's life. It was disclosed by Williamsport Sun-Gazette on February 23rd, 2016 that Beverly J Akey died in Wellsboro, Pennsylvania. Akey was 81 years old. Send flowers to share your condolences and honor Beverly J's life. It was written by Williamsport Sun-Gazette on February 23rd, 2016 that Walter M "Pete" Wilcox passed away in Wellsboro, Pennsylvania. Wilcox was 87 years old. Send flowers to share your condolences and honor Walter M "Pete"'s life. It was revealed by Williamsport Sun-Gazette on February 20th, 2016 that Dustin Michael Keister perished in Wellsboro, Pennsylvania. Keister was 20 years old. Send flowers to express your sorrow and honor Dustin Michael's life. It is the county seat of Tioga County, Pennsylvania County , and also home to the Pine Creek Gorge Canyon of Pennsylvania. It had fruit evaporators, flour and woolen mills, a milk-condensing plant, marble works, saw mills, foundry and machine shops, and manufactories of cut glass, chemicals, rugs, bolts, cigars, carriages, and furniture. 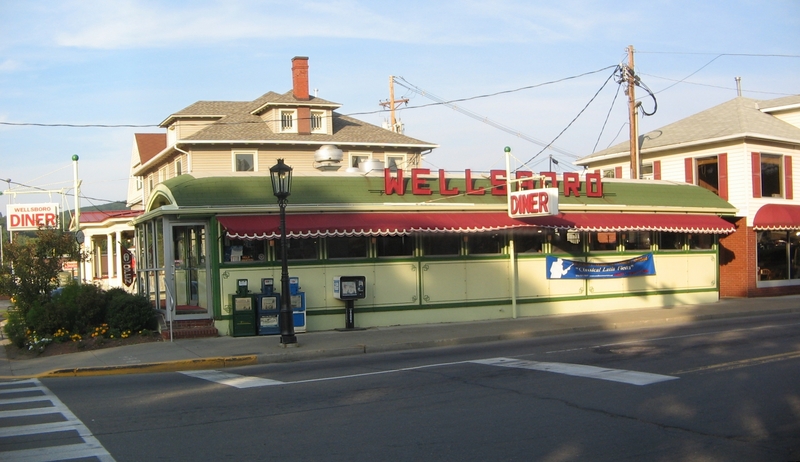 Wellsboro is a Borough (Pennsylvania) in Tioga County, Pennsylvania County, Pennsylvania, 52 miles northwest of Williamsport, Pennsylvania Early in the twentieth century, Wellsboro was the shipping point and trade center for a large area. The population was 3,328 at the 2000 census. In 1900, 2,945 people lived here; in 1910, 3,183 lived here. The official website for the city of Wellsboro is https://www.wellsboroborough.com/. Franck, 95, of Wellsboro, Pa., died Friday, Oct. 29 ... The Jacquelyn A. Buckheit Funeral Chapel, Crematory & Monuments, PC, 637 S. Main St., Mansfield, PA is assisting the family. Pa. 17837-9996. Arrangements are under the care of the Shaw Funeral Home Inc., 400 N. Front St., Milton. Listing all funeral homes in Wellsboro, Pennsylvania so you can easily send flowers to any location (same day delivery) or find any funeral service. Listing all cemeteries in Wellsboro, Pennsylvania so you can easily send flowers to any location (same day delivery) or find any funeral service. We work with local florists and flower shops to offer same day delivery. You will find budget sympathy flowers in Wellsboro here. Our funeral flowers are cheap in price but not in value.